PDM leader, Vlad Plahotniuc, completely undermined the efforts of foreign special services to divert the European path of the Republic of Moldova by Veaceslav Platon's hands. With Western support, he brought an end to money laundering schemes and managed to hold liable those who are responsible for banking system fraud. This is what the former deputy head of the NAC Service to Prevent and Counter Money Laundering, Mihail Gofman, declared in an interview to zepellin.md, write Timpul.md and Today.md. ”Speaking realistically, in 2016, Vladimir Plahotniuc took power, in January 2016.. Further, a number of things happened. Platon, Filat and other teams were taken apart, and these two main individuals tried to negotiate their freedom. Ultimately, I believe that they were all caught and punished the way the deserve not without the support from Americans, from the West. Others will follow. Let us be realistic. Vlad Plahotniuc did not have a role in the theft of the century. The problem is that at that time Banca de Economii was under Vlad Filat's political control", declared Mihail Gofman. The former NAC official also speaks about another statement of the head of democrats, made in 2014, at a meeting with Vlad Filat and Iurie Leanca. "That discussion was quite tough and Plahotniuc used rather specific wordings. I do not want to repeat those words, and do not ask me how I got to know them. He said "I am not destroying the country", Gofman specified. We remind you that in November, in another interview to zeppelin.md, Gofman stated that the theft from country's banking system was carefully prepared ahead of time, aiming to block the European path of the Republic of Moldova. 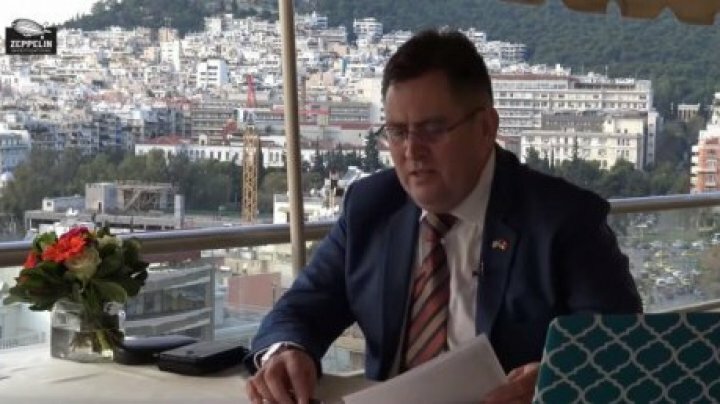 Veaceslav Platon planned this diversionary operation following the instructions of foreign special services, with direct support from the former prime minister Vlad Filat and his entourage.